A baby dinosaur skeleton discovered by a high-school student. This skeleton was become the most complete duck-billed skeleton of its kind. It’s smallest and youngest. It’s a Parasaurolophus dinosaur. 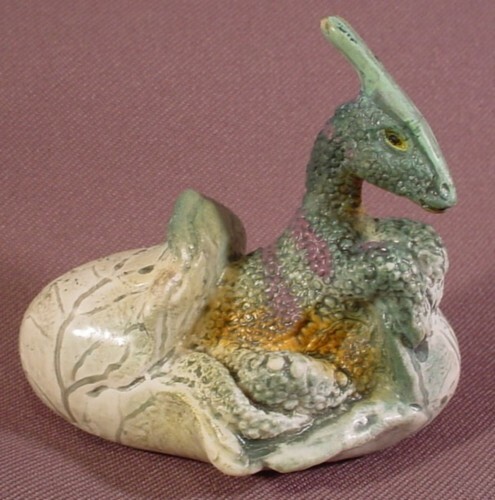 For your information, Parasaurolophus lived about 75 million years ago. For its appearance, Parasaurolophus had tube-shaped head crests. which can be used to amplify the animal calls. The baby dinosaur, itself, was named as Joe. “We now understand a lot more about how Parasaurolophus grew its crest,” said Andrew Farke, a paleontologist and curator at Raymond M. Alf Museum of Paleontology in Claremont, Calif.
After founded, 1,300 painstaking hours of cleaning, picking and chiseling, the technicians finally revealed the baby dinosaur fossil in the stone. Farke said that the completeness of the Parasaurolophus skeleton was amazing and spectacular. Now, the paleontologists have real and amazing example of a baby Parasaurolophus.According to Farke, Joe was died under a year old. 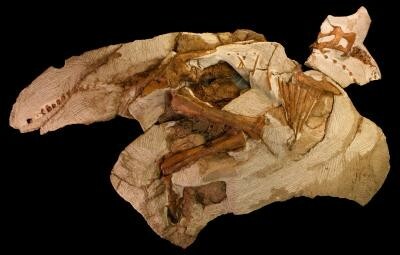 See Others Picture of Baby Dinosaur Fossil Found!